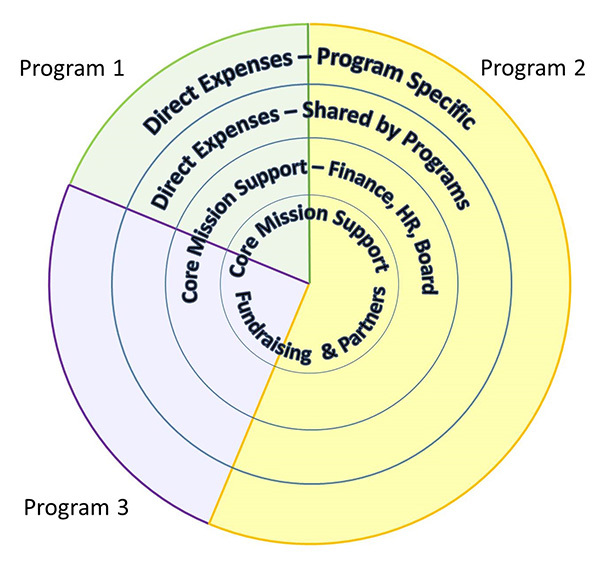 Those who ask the question, think in terms of an image of a pie chart, where an increased percentage of overhead is seen to take away from available resources, and thus is perceived to diminish program effectiveness. It’s a well-intentioned question, but it ends up being counter productive. The first is a church group that organizes a bake sale. They open up their gymnasium, advertise on Facebook, engage volunteer workers, and have all their pies, cakes, and baked goods donated for free. Their overall costs are nearly zero, less a fraction of one percent. In terms of the traditional way we think about non-profit effectiveness, this is incredible. Never mind a limit of 20% expenditure. Nearly zero percent is miraculous! Using the pie chart image, and a ‘percentage overhead’ ratio, they are an incredibly effective non-profit initiative. On the other hand, a small group of friends form a non-profit group designed to buy and sell real estate, and donate the profits to foreign medical missions. They used their donations to pay for market research, legal fees, brokerage commissions, and more, in order to buy and sell a piece of downtown commercial real estate in a major metropolitan city. Unfortunately, the building & land cost them 98% of what they were able to sell it for. Measuring their efforts against the industry standard ‘20% or less is an ideal ratio’, these folks are a miserable failure — horribly ineffective as far as non-profit organizations go. “Do not donate to them!” we are told. “98% of their revenues go to funding their overheads!” Technically, that is accurate, but it presents a distorted, and thus emotionally loaded, view of reality. Comparing the ‘success’ of the church bake sale, with the ‘failure’ of the real estate venture shows something different. The bake sale raised $10,000. The real estate initiative netted $2 Million! Now, who truly was more effective? That’s a question that can only be answered in terms of the outcomes you were intending to achieve, not the overheads you had to maintain in order to maintain them. Yes, bake sales would give you better margins. But, how many of them would you have to do in order to achieve the same result? You’d end up working a lot harder, certainly not smarter. That’s the danger of the image of a pie chart expenditure model, that simplistically measures everything in terms of the ratio of income (donations) to expenses (overhead). Inadvertently, the paradigm behind this thinking perpetuates a lack of responsibility, sometimes entitlement, and enables further weakness in the program recipients. “Strategic financial functions, good governance, and the development of key funding partnerships are vital to strong organizations. We need a new way to communicate this truth. Rather than thinking of our investment in key infrastructure as diminishing our programs, it should be seen as valuable Core Mission Support. 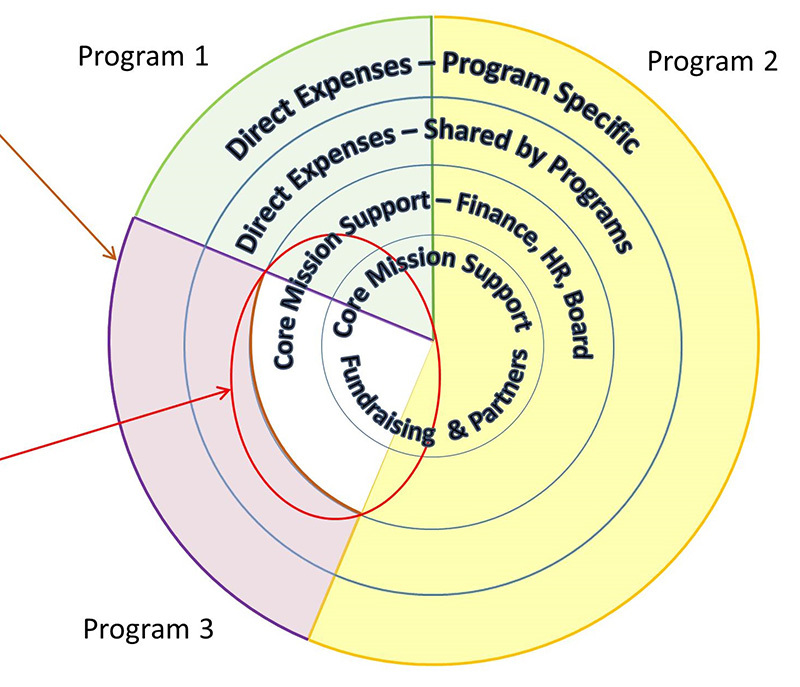 Core Mission Support functions are necessary, vital, and integral. 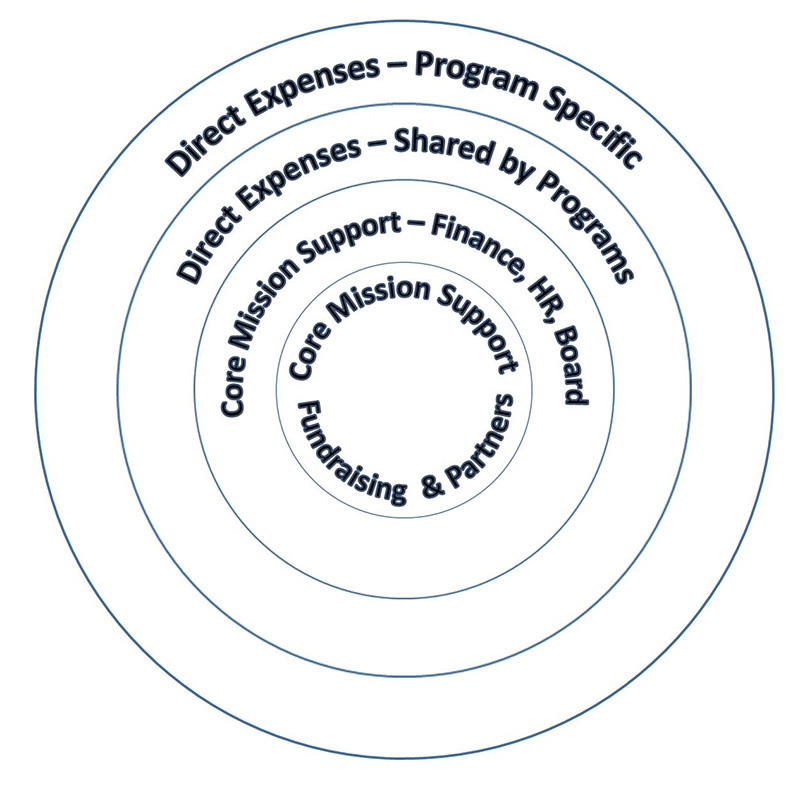 Each of our programs is built around, is supported by, and shares responsibility for Core Mission Support. (Article excerpted from ‘Why Funding Overhead is Not the Real Issue”, Non-Profit Quarterly, January 2018). This is why, at Stellar Impact Foundation, we use a very solid business approach that applies to all sectors. Obviously you try to enhance your margins. That’s just good business sense! You try to increase your revenues, diminish your expenses, and optimize your processes to reduce your cost structure. Yet, no-one expects someone in the restaurant or retail grocery industries to achieve the 50%-80% returns that you seen in the online training industry. So then, at 96% or larger overhead, are retail restaurants and grocery stores ineffective? Unprofitable? In a similar fashion, the margins we achieve depends on the type of projects we run, and the sector of society in which they occur. Obviously, we guard every dollar as best we should. Any organization is ethically obligated to do so. The measure of our effectiveness, however, is how efficiently, excellently, and well we achieved the outcomes we set out to achieve. That’s what we strive for. That’s what we report. And, that’s the standard to which we hold ourselves accountable. Unless otherwise indicated, all content on this website is licensed under a Creative Commons Attribution-ShareAlike 4.0 International License. Permission is hereby granted for unrestricted reuse, provided you give appropriate credit to it's source -- AND provide a link back to StellarImpact.org when doing so.